Yesterday the ladies from Desire to Inspire blogged about the work of photographer Brie Williams. As soon as I saw Brie’s portfolio I knew I had share her work with you as well! I have no information about the location of these beautiful and exotic rooms. Is it Ibiza or perhaps Morocco? The images sure make me dream about faraway places.. 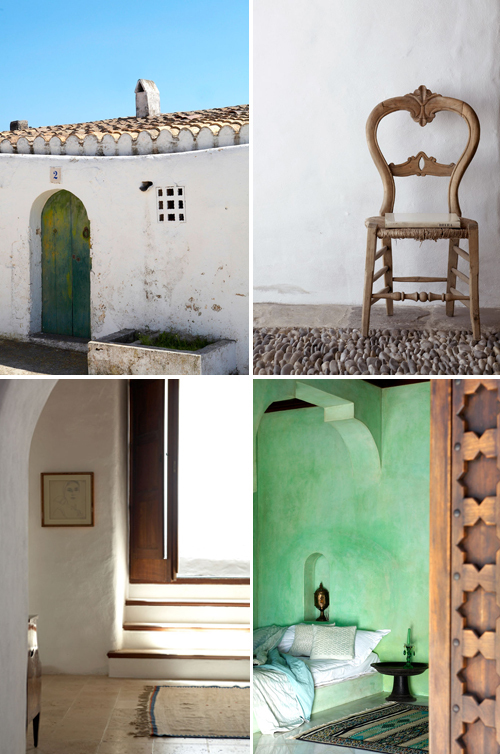 I am not into green but that green shade on the wall in the bottom right photo is gorgeous! Am dreaming here too….so beautiful! Jeez I love these photos! All that wood and white plaster walls. Could it be greece? It definitely has a Mediterranean feel. Definitely some of the nicest imagery I’ve seen in a long time. No question about it, this is living art. It takes someone with a true passion for nature and simplicity to be able to understand the beauty. Congrats. Intrekken en nooit meer weg gaan, schitterend! Awesome interior design, very cosy and sophisticated at the same time. 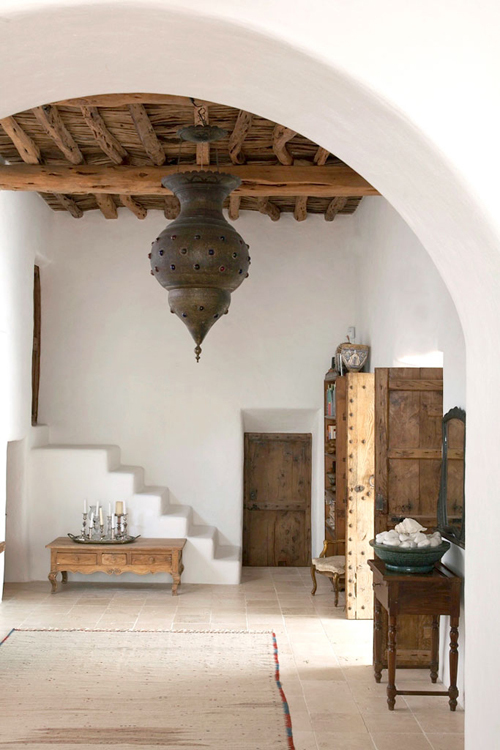 I love the connection between the white walls and nice timber beams. I love those heavy wooden doors!!!! Especially the one with the stars! 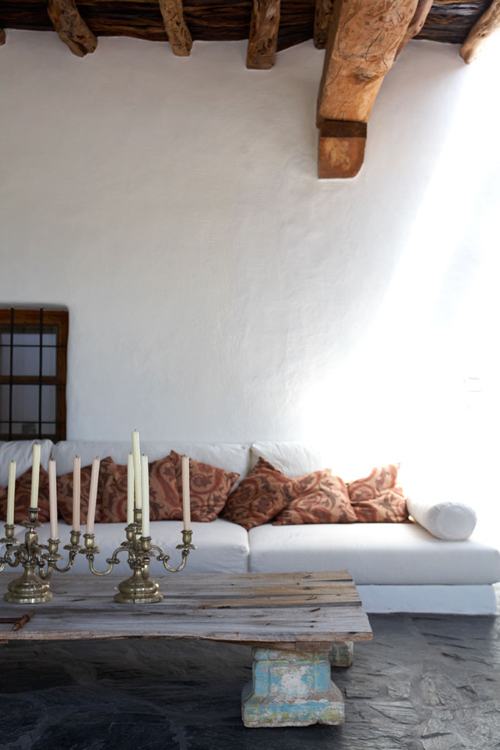 I think that is probably Ibiza, looks like 17 century Spanish design to me. What a wonderful home!